Bach officially takes over Carmel-by-the-Sea for the next 15 days for an incredible line-up of concerts, talks and educational events. The hub of the Carmel Bach Festival takes place at the Sunset Center while other events are spread out throughout the Monterey Peninsula. Various venues and ticket prices. Catch a showing of "Generations Cabaret-Style Dance" by the Carmel Delights Friday and Saturday nights at Wave Street Studios. "Generations" will feature live dance performances by the Carmel Delights and live music performances by Dana Uhrenholdt (vocals), Hart McKenzie (piano), and Vincent Randazzo (guitar and vocals). Friday and Saturday at 7pm. 774 Wave Street, Monterey. $75. Kick of the weekend with a free concert at Carmel Plaza. Tonight Reckless in Vegas takes the stage a food and wine package hosted by Bistro Beaujolais and Smith Family Wines. 5pm-7pm. Ocean Avenue and Mission Street, Carmel-by-the-Sea. Free event, $15 for food and wine ticket. Southern Californian party rock group Phrat performs at Fernwood Tavern in Big Sur tonight. 10pm. 47200 Highway 1, Big Sur. Free event. California Rodeo’s Big Week kicks off tonight with the Kiddie Kapers and Colmo del Rodeo parades in Oldtown Salinas. The Kiddie Kaper Parade begins at 6:30pm and features over 1,200 dressed up tiny tots on floats, bikes and wagons. Colmo de Rodeo begins at 8pm and features all sorts of floats, marching bands, dance troops and entertainment. 6:30pm-9pm. 200 Block Main Street, Salinas. Free event. Head to Fernwood Tavern tonight for a free concert by The Edge of Art. 10pm. 47200 Highway 1, Big Sur. Free event. 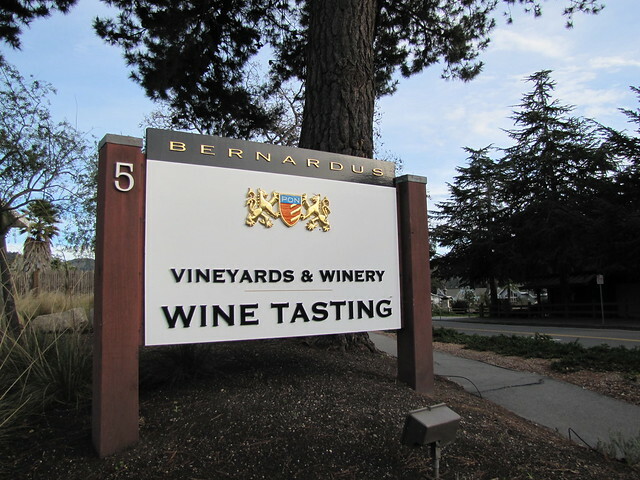 Bask in the Carmel Valley sun at Bernardus Winery’s Pizza & Pinot Party. Enjoy wood-fired pizzas, luscious wines and live music on their sunny outdoor patio. 1pm-4pm. 5 West Carmel Valley Road, Carmel Valley. $45. Love cowboys and poetry? Head to the Cowboy Music and Poetry Gathering as part of the California Rodeo Salinas Big Week! Sherwood Hall in Salinas will be jamming with all sorts of honky tonk with Dave Stamey as the headliner. 940 North Main St, Salinas. $30 in advance and $35 at the door. $10 for BBQ meal and $10 for wine tasting. 1pm-5pm.